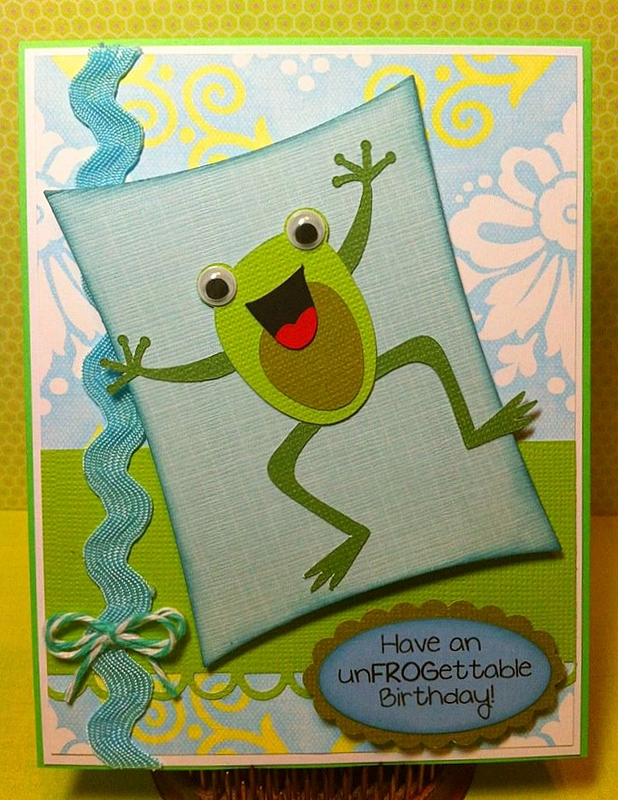 Paper Crafts by Candace: Have an UnFROGettable Birthday! I just love your frog. I is really looking like I am going to have to talk my husband into buying me the Cameo. Another great card. um hello!! I never saw this before!! This is totally unfrogettable!!! I LOVE it!!!! I have some frog stamps Ive been dying to use! Can I see this sentiment coming soon??? Love it! Love the wording!